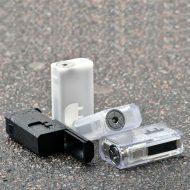 A Collaboration between Mass Mods and Augvape teamed up to bring you the best possible squonking experience you can buy for under £40. 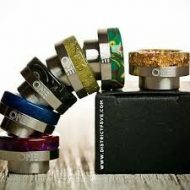 The power you’ve come to expect from any Mass Mods device, without breaking the bank. A single 18650 powered, stripped down version of the CS1, with MOSFET protection and gold plated contacts. 8.5ml silicone bottle included. The smooth design and well placed firing button give the mod a familiar feel in the hand, and thanks to the mosfet protection and gold plated contacts, it will give a powerful hit on your favourite BF RDA. Incoming Stock, Please join the wait list below to be notified when available. 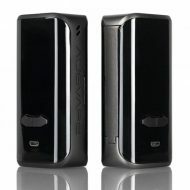 The Augvape VX200 is an ultra sleek box mod inspired by the ever smooth and rounded edges found on modern smartphones. 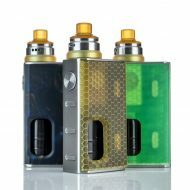 With the introduction of an extremely large side trigger firing system as well as a maximum wattage of 200W, the VX200 is capable of firing atomizers with a minimum resistance of 0.05Ω ohms. The VX200 maintains a sleek body and minimalist aesthetic, giving an ultra simple-looking device packed with a multitude of firing modes, a bypass mode, and customizeable UI, all operated and navigated via the front-facing tactile adjustment buttons. 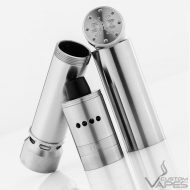 The VX200 is a beautiful device perfect any type of vaper that enjoys the minimalist aesthetic. The Side Piece by Purge Mods is series box mod that packs one hell of a punch. The design is inspired by the Slam Piece but this time you get twice the power, twice the vape! 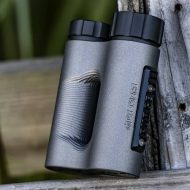 The Side Piece is a side firing, constant contact mod and is 30mm in diameter and has a fire button is made of ultem, fixed onto the body of the mod. One battery sit’s in a copper cup which is then housed in a black ultem cup and has a turnable switch to lock or unlock. It can accommodate 21700 and 20700 batteries. The threading on each mod is flawless and they are weighty too, these mods ooze high-end quality. Each mod comes with a rugged, hard shell carry case. This Product Excludes Black Friday Sale Offers! Augvape Druga Foxy Mod is constructed by high-quality zinc alloy with ergonomic design and cool appearance. 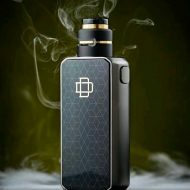 The Druga Foxy is designed to be compact, solid and aesthetically pleasing, powered by two 18650 batteries in series that is capable of generating 150 watts with resistance range 0.1ohm to 0.38ohm. 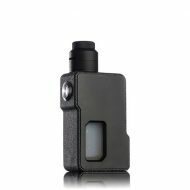 The Switch Squonk Box by Mums Fantasy Factory is a single 18650 mechanical squonk mod with its body made from Delrin. 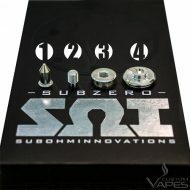 It features 22g 0.999 pure silver contacts, SVA 510s imported from Italy with doors, and buttons that are interchangeable. The Switch is completely modular and can be personalized. 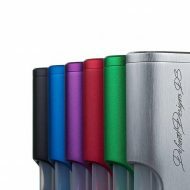 The Plug Squonk Box by Mums Fantasy Factory is a single 18650 mechanical squonk mod with its body made from Delrin with G10 doors. It features 22g 0.999 pure silver contacts, SVA 510s imported from Italy with doors, and buttons that are interchangeable. The Plug is completely modular and can be personalized. 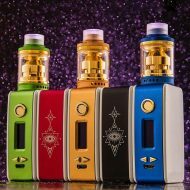 Luxotic Bottom Feed Squonk Kit with Tobhino RDA is the first squonk box kit from Wismec, designed by Jaybo. The Luxotic BF kit features a squonk system and 7.5ml e-juice capacity, which will keep you vaping for a long time. Powered by single 18650 battery, the Luxotic can be up to 100W maximum output. 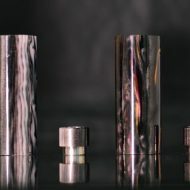 The Tobhino BF RDA is a high-end bottom-fed rebuildable drip atomizer, impresses us with its unique airflow design and detachable structure. The vapour community continues to evolve and Anchor is evolving with this stunning looking 3d printed Nano mechanical squonk box mod. 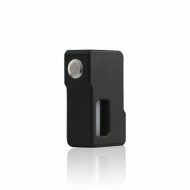 Introducing the CS1 Squonk Mod, like no other the CS1 has special button features engineered to work with safety in mind. The sensor relies on the electrical properties of the human body to detect when the button is being touched by you, and not the things you carry in your pocket. Be at ease knowing your mod will work only where it needs to – in your hands. • Alumide body and anodised aluminium doors for optimal wear protection. 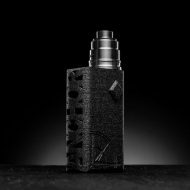 DotSquonk Mech Bottom Feed Squonk Mod by Dot Mod. The all new Dot Squonk is one of the best looking BF Mods on the market. With the precise engineering DotMod require on all of it’s products this is no exception. 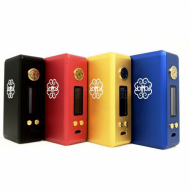 With its removable doors that allow mix and match customisation and its dual battery capability of 18650 or 20700 this is another product not too be missed. 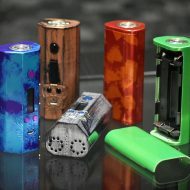 • Customise your dotSquonk’s look with 2 doors. • Use 20700 or 18650 batteries. • Top-fill through the dotRDA24 for on the go. • Beveled edges for superior feel in your hand. 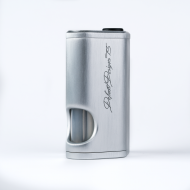 The dotBox 75w offers a sleek, trim chassis made from anodized aluminum that houses an 18650 rechargeable battery. 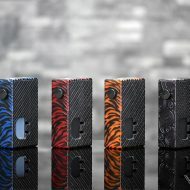 This unique and stylish box mod features dotmod’s proprietary purpose-built microprocessor that eliminates slow charging, reliability issues, and slow wattage ramp-up found in other processors. This powerful and efficient chip set is far superior to others and ensures the highest performance, reliability, and functionality on the market. 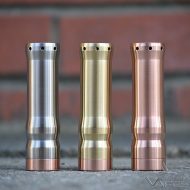 Dotmod’s precision machining, attention to detail, and gold standard quality delivers a beautiful “hand check” that will make you the envy of the “low-cost crowd. Littlefoot 60w Mod By Wake Mod Co. The Littlefoot 60W Mod by Wake Mod Co is a super small, ultra sleek mod that shines in aesthetics and performance. Visually, the device is stunning and is available in black, blue, gold, green and red colour options. When paired with the Wake RTA (sold separately) the combo matches beautifully and gives users an exceptionally flavourful experience. THIS PRODUCT CANNOT BE SHIPPED INTERNATIONAL VIA AIR MAIL, PLEASE USE DHL UPGRADE.